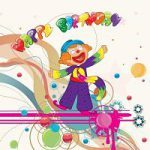 If you know someone whose birthday is soon, then you can put a smile on their face on their special day with these funny birthday messages and wishes. Whether you want to poke fun at their age or want to use self-deprecating humor so they can laugh at you, there's something here for everyone. So enjoy browsing this collection of funny birthday wishes and messages. Happy birthday. If anyone calls you old, just hit them with your cane and throw your teeth at them. 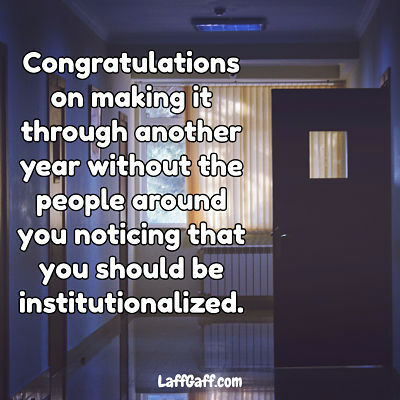 Congratulations on making it through another year without the people around you noticing that you should be institutionalized. It's better to be over the hill than buried under it. Your birthday reminds me of the old Chinese scholar... Yung No Mo. Birthdays are good for you. Statistics show that those who have the most live the longest. You're not getting older, you're just getting closer to death. 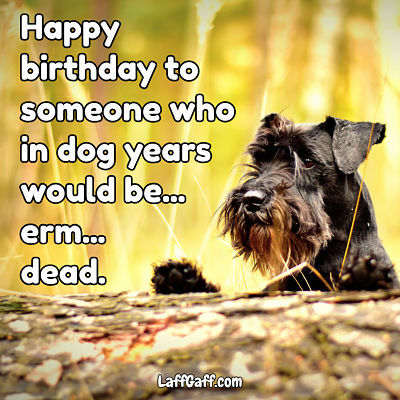 Happy birthday to someone who in dog years would be... erm... dead. Stop counting the candles and start thinking about your wishes. At your age the only pole dancing you do is to hold on to the safety bar in the bath. You know you're getting old when the only thing you want for your birthday is not to be reminded about it. Happy birthday, may your Facebook be filled with messages from people you never talk to. So many candles, so little cake. Remember - age gets better with wine. Wishing you many more candles and a cake big enough to fit them all on. For some reason, whenever I go birthday shopping for you I always seem to find a lot more gifts for myself. Your birthdays are really expensive... but you're worth it. Some say the glass is half empty. Others say the glass is half full. It's your birthday, so just drink whatever is in the glass. 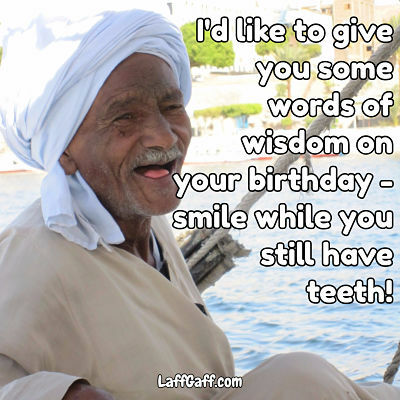 I'd like to give you some words of wisdom on your birthday - smile while you still have teeth! Happy birthday. Welcome to the age where you'll often forget your age. Wishing you a happy birthday, because Facebook told me to. Birthdays are like boogers. The more you have, the harder it is to breathe. Three secrets on your birthday: 1. Forget the past, you can't change it. 2. Forget the future, you can't predict it. 3. Forget the present, I didn't get you one. Just think - now you're one step closer to the senior citizen discount at the movies. You know you're getting older when the candles on the cake where more expensive than the cake. It's nice to be young, healthy and full of energy. Do you remember what that used to feel like? 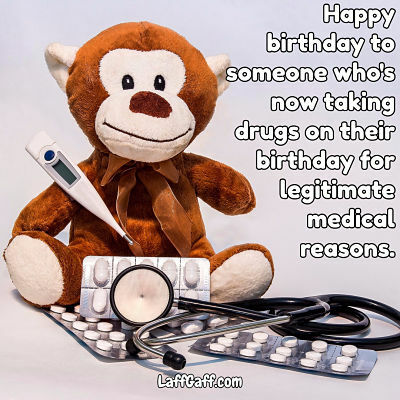 Happy birthday to someone who's now taking drugs on their birthday for legitimate medical reasons. To the nation's best kept secret - your true age. Happy birthday - you're one step closer to touching your balls to the water when you're on the toilet. You're a hard person to shop for, so I didn't get you anything. Happy birthday. Happy birthday, I hope your day is as amazing and fun as I am. Good luck with that. They say that with age comes wisdom. Good news - you don't have all the signs of ageing after all! Happy birthday and congratulations - you've made it to "Dirty Old Man" territory. Happy birthday to one of the few people who's birthday I can remember without a Facebook reminder. Happy birthday. You're not old - you're 25 plus handling and shipping. Don't let anyone tell you that you're old. Especially if you can hear them say it without having to read their lips. Stop trying to count the candles and just blow them out before the house catches fire.